Great quality fast shipping good customer service !! Great kit!! This is full kits for full weapon DUGRAM !! great casting and details. Very great protection in shipping!! Package arrived quickly and in excellent condition. 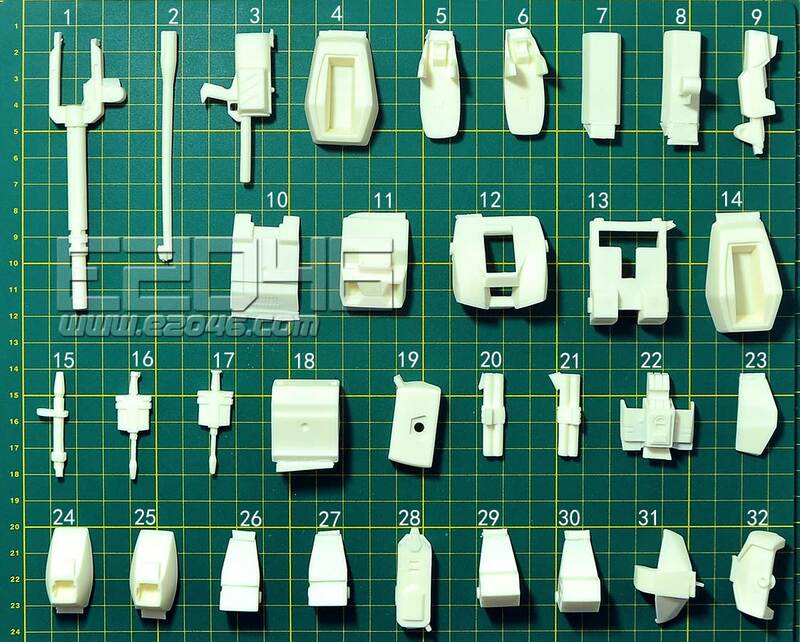 By cursory inspection, the kit parts look to be nice, clean castings - should look excellent when assembled and painted. Thank you for the prompt delivery! Excellent casting again, as expected from e2046. All parts intact and package was undamaged. Now just have to go get myself ball joints, plastic rods, and polycaps to build it up and source for decals. cheers and keep up the great service! Awesome! great quality, superb casting. A model I didn't think to have, one day. I'm proud to have it! Wanted this for a long time. All parts are very nicely molded with no air bubbled visible. Very big thanks for doing this kit. Lot of parts with this one, be careful when opening. 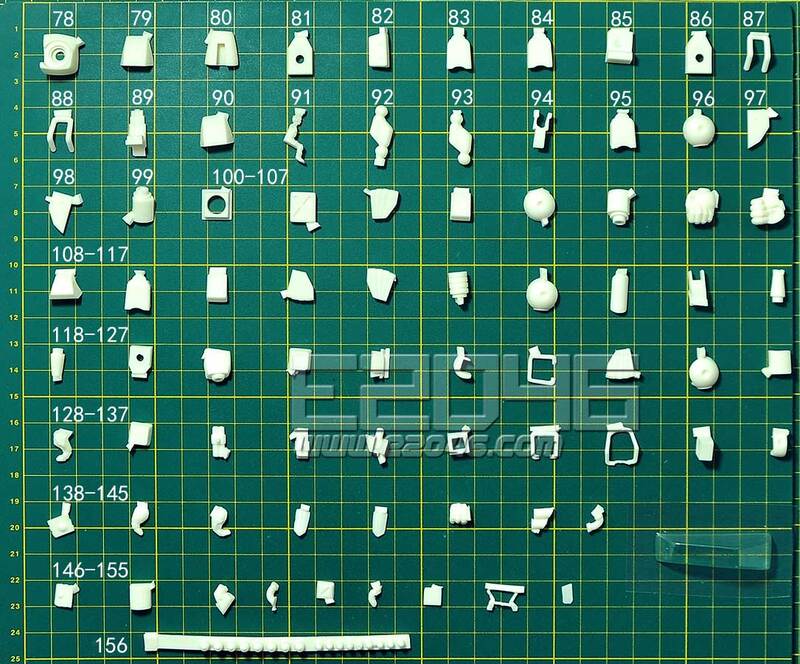 All parts look to be well molded. 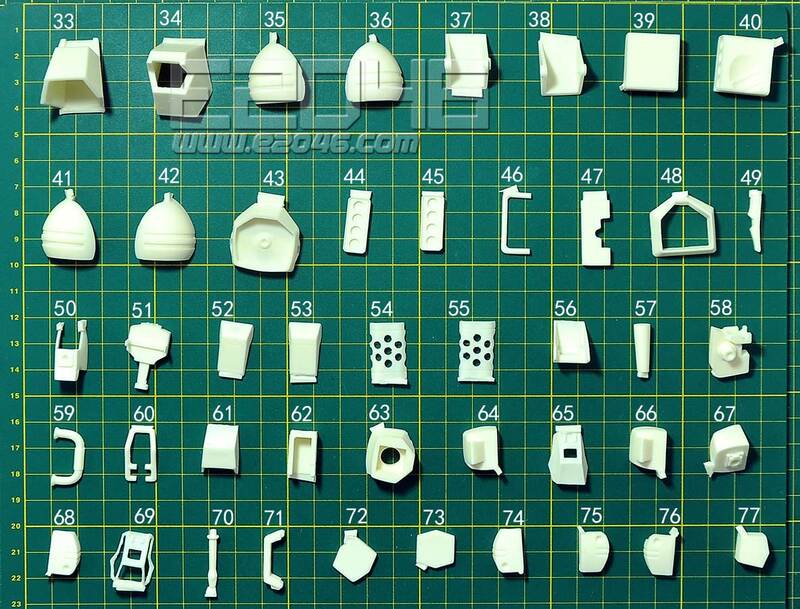 Canopy is vacuformed, so take care while building as only one is provided. 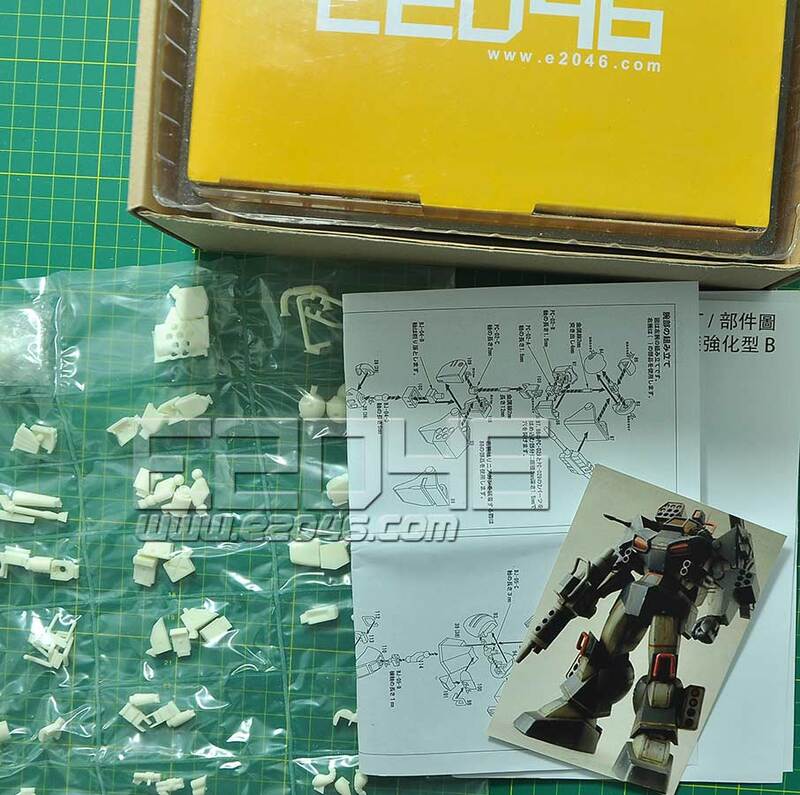 If you want the joints so the pieces will move they will need to be purchased separately, but the instructions do call out part numbers from Wave. Recommended. Good casting!. Detailed manual. Thanks. Good recast & I like the current packaging where parts are wrapped in "patch-work" style pockets which makes it easier to view. It would be better if the canopy frame is not warped though it won't be easy given it is a very delicate fragile part (hope this can be corrected by heating the part with hot water). 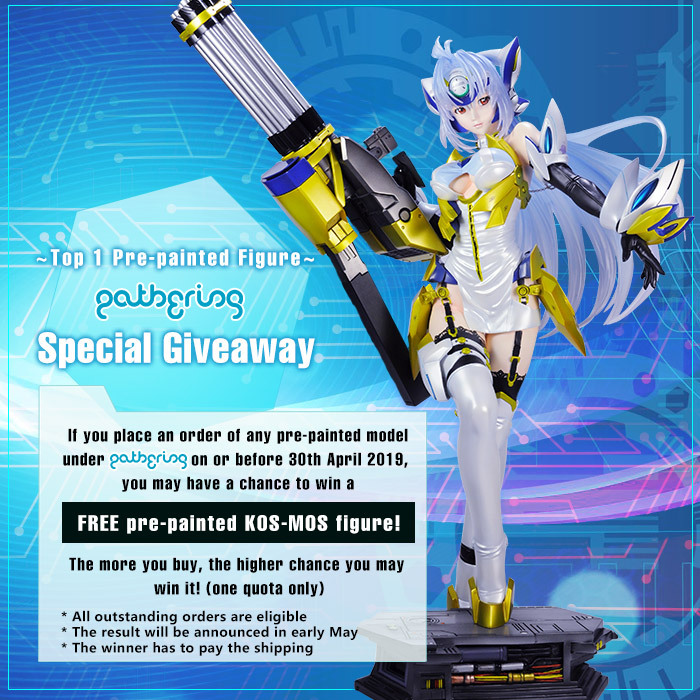 Joint PC parts not included (just like the original?) but should be easy to source from Wave. Overall, a nice kit for die-hard Dougram fans which require considerable modeling skills to compete. I am thankful that e2046 has made it available otherwise there is little chance modelers outside Japan could buy this at more reasonable price.